Asgar A., Ghaffari A., and Levy J., (2010), Spatial and temporal analyses of structural fire incidents and their causes: A case of Toronto, Canada. Fire Safety Journal, 45(1), 44-57. Bain, A.L. and Marsh, J. (forthcoming, 2010) Peterborough: a georegion in transition? In G. Nelson and S. Preston (Eds). Many Places, Many People: Understanding and Planning for the DiverseGeoregions of Ontario. Montreal and Kingston: McGill-Queen's University Press. Bain, A.L. (2010) Re-imaging, re-elevating, re-placing the urban. In Trudi Bunting, Pierre Filion, and Alison L. Bain Page 7 of 8 Ryan Walker (Eds). Canadian Cities in Transition: New Directions in the 21st Century. Fourth Edition. Oxford: Oxford University Press, 262-275. Basu, R. (2010) Geographies of Education, for the Encyclopedia of Geography, edited by Barney Wharf, Sage Publications. Black, S. (2010). Sports, spectacle, and ... socialism? A conversation with urban scholar and activist Roger Keil. Canadian Dimension, 44(3), 58. Black, S. (2010). Review: Damming the Flood: Haiti, Aristide, and the Politics of Containment. Canadian Dimension, 44(2). Calliess, G.F. and Zumbansen, P. (2010). Rough Consensus and Running Code: A Theory of Transnational Private Law. Oxford: Hart Publishing. Crichlow, W. (2010). Review of Harvey Young (2010), Embodying the Black Experience: Stillness, Critical Memory, and the Black Body. Ann Arbor: University of Michigan Press, 259 pp. ; and Brain Norman & Piper Kendrix Williams (Eds.) (2010), Representing Segregation: Toward Aesthetics of Living Jim Crow, and Other Forms of Racial Division. New York: State University of New (SUNY) Press, 280 pp. PUBLIC: Art, Culture, Ideas, 138-144. Crichlow, W. (2010). In Conversation: Artist Interview with Stacy Tyrell, Megan Morrison, Christina Leslie & Dawit L. Petros. Positioned As Desired: Exploring African Canadian Identity-Photographs from the Wedge Collection. Toronto: Wedge Curatorial Projects (Exhibition Catalogue, Royal Ontario Museum (ROM), October 2, 2010-March 27, 2011), 37-44. Darchen, S. and D-G. Tremblay. (2010). What attracts and retains knowledge workers/students: the quality of place or career opportunities? The cases of Montreal and Ottawa. Cities, 27(4), 225-233. Darchen, S. and D-G. Tremblay. (2010). Attracting and retaining the workforce in science and technology: the case of Montreal. In Kostas Metaxiotis, Francisco Javier Carrillo and TanYigitcanlar (Eds). Knowledge-Based Development of Cities and Societies: anIntegrated Multi-level Approach. USA: IGI Global, pp. 42-58. Desfor, G., Laidley, J., Stevens, Q., and Schubert, D. Ed, (2010). Transforming Urban Waterfronts: Fixity and Flow: New York: Routledge. Dippo, D. (2010). From Refuge to Polis: Shifting the Rationale for Religiosity in Schools. Educational Policy, 24, 216 - 220. Gururani, S. (2010). Troubled Nature: Some Reflections on the Changing Nature of the Millennial City (Gurgaon), India. In Ingrid Stefanovic and Stephen Scharper (Eds.). The Natural City: Re-Envisioning the Built Environment. University of Toronto Press. Toronto. Gururani, S. And Berry, K. (Eds). (2010). Introduction: Gendered Articulations: Special Issue:Himalaya: The Journal of the Association of Nepal and Himalayan Studies. James, R. (2010). From 'slum clearance' to 'revitalisation': planning, expertise and moral regulation in Toronto's Regent Park. Planning Perspectives 25(1):69-86. Jenkins, W. (2010). Homeland Crisis and Local Ethnicity: the Toronto Irish and the Evening Telegram, 1910-1914, Urban History Review, 38, 48-63. Keil, R., Allahwala, A., and Boudreau, J.A. (2010). Urban Governance in Canada. In Trudi Bunting, Pierre Filion and Ryan Walker (Eds.) 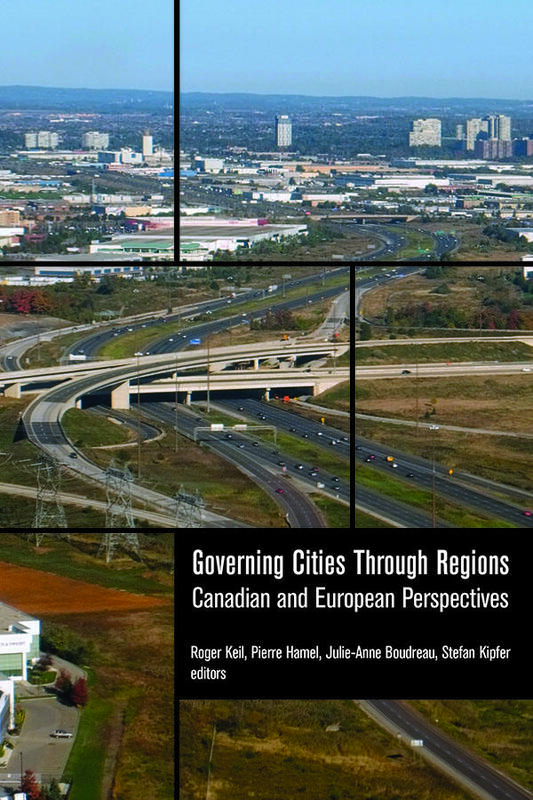 Canadian Cities in Transition, 4th ed. Khatam, A. (2010). Struggles over Defining the Moral City: Islam and Urban Public Life in Iran, in Linda Herrera and Asef Bayat (Eds.). The Making of Muslim Youths: New Cultural Politics in the Global South and North. New York: Oxford University Press. Khatam, A. (Ed.). (2010). Shahr va zaminlarzeh: chera zelzeleh dar Iran margbar ast? (City and earthquake: why earthquake is still so lethal in Iran?) Tehran: Agah Publishing House. Lotherington, H. (2010). Scaffolding inclusive language and literacy education: Interdisciplinary digital narrative projects at primary school. NALDIC Quarterly, 7(2), 16-22. Massam, B.H. (2010). 'Introduction: tourism, cui bono?' In Rosa Maria Chavez Dagostino, Edmundo Andrade Romo, Rodrigo Espinoza Sanchez (Eds. ), Turismo comunitario en México, Universidad de Guadalajara Press, Mexico. McGrath, S., P.B. Wood, & J.E.E.E. Young. (2010). Safe havens? Mapping the provision of settlement services in three Canadian urban centres. Canadian Social Work Journal (in press). Packer, L. (2010). Keeping the Bees: Why All Bees Are at Risk and What We Can Do to Save Them. Canada: Harper Collins. Peake, L. and de Souza, K. (January 2010) Feminist academic and activist praxis in service of the transnational. In Nagar, R., Swarr, A. (Eds.) Critical Transnational Feminist Praxis, Minneapolis: University of Minnesota Press, pp.105-123. Schwartz, H. (2010). “Toronto: Trouble in the Megacity, Facing a Financial Crisis in 2010” Policy Options February, 2010 p.62-67. Taylor, L. (2010). The Idea of Landscape in Planning at the City’s Edge, in K. Beesley, ed. The Rural-Urban Fringe in Canada: Conflict and Controversy. 348–62. Brandon, MN: Brandon University (Rural Development Institute). Tchoukaleyska, R. (2010) 'Gecontesteerde etnishce markten in Montpellier (contested ethnic markets in Montpellier)'. AGORA: Magazine Voor Sociaalruimtelijke Vraagstukken, 26(2): 233-36. Vosko, L. F. (2010). Managing the Margins: Gender, Citizenship and the International Regulation of Precarious Employment. Oxford: Oxford University Press UK. Warkentin, J. (2010). Creating Memory: A Guide to Outdoor Public Sculpture in Toronto. Toronto: Becker Associates. Wekerle, G. and Abbruzzese, T. V. (2010). Producing Regionalism: Regional Movements, Ecosystems and Equity in a Fast and Slow Growth Region. Geojournal, vol. 75(6), pp. 581. Wekerle, G., and Sandberg, L.A. (2010). Reaping Nature’s Dividends: TheNeoliberalization and Gentrification of Nature on the Oak Ridges Moraine. Journal Of Environmental Planning and Policy, January. Wieditz, T. (2010). Gentrifizierung im Stadtteil Liberty Village, Toronto [Gentrification in Liberty Village, Toronto]. In I. Mertens & K. Usunov (Eds. ), Raumplanerinnen im Ausland. Dortmund: Institut für Raumplanung. Universität Dortmund (IRPUD). Wood, P. and Wortley, S. (2010). AlieNation: Racism, Injustice and Other Obstacles to Full Citizenship. CERIS Working Paper No. 78. Young, D. and Keil, R. (2010). Reconnecting the Disconnected: the Politics of Infrastructure in the In-between City. Cities:The International Journal of Policy and Planning. 27, 87-95.